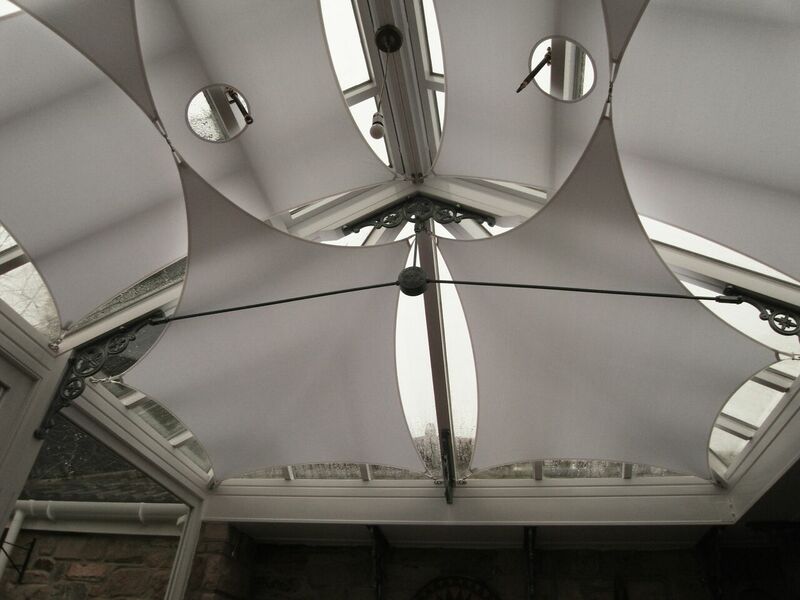 Inshade Conservatory sails and sail blinds by Alfresco365 are designed and manufactured in the UK. We use ISX Solar Control Fabrics developed specifically as solar shades for interior spaces. 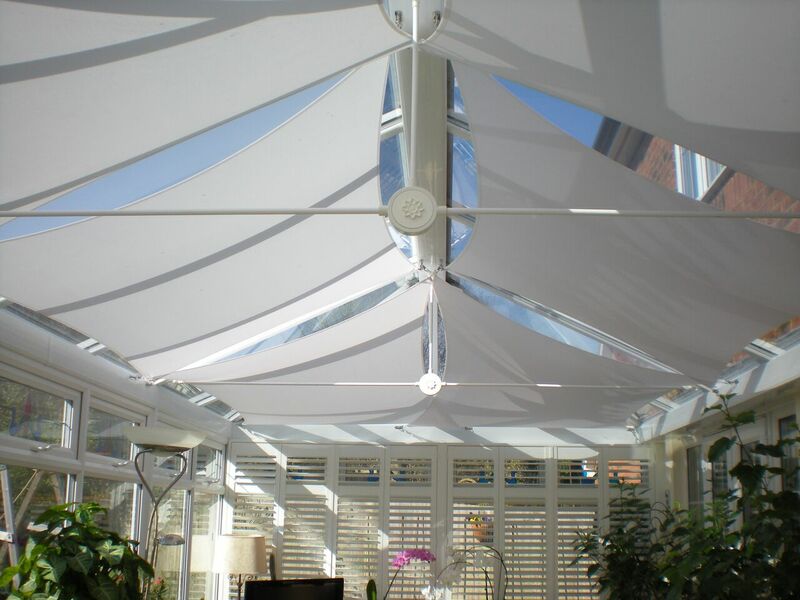 Inshade conservatory sails and sail blinds are designed specifically for shading UK Conservatory, Orangery, and Atrium. 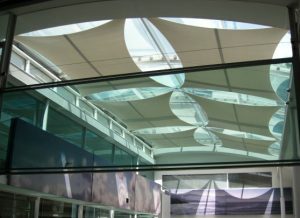 Use our ISX solar sail fabric for shading Glass roof structures and Glass curtain wall. 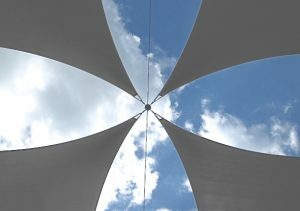 The Solar Control ISX fabric has a dense fabric structure that blocks the harsh power of the sun, with most of the sun’s energy reflected as heat. Around 25% of the light is refracted through the layers of fibres that constitute the fabric. These fibres diffuse and filter sunlight, bathing the space below in cool diffused light. 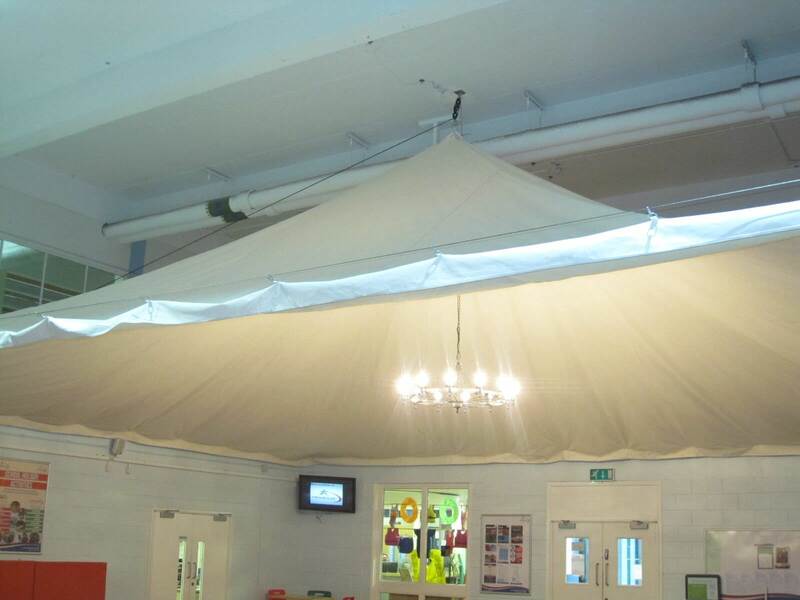 A further benefit of ISX fabric is Acoustic Enhancement. Hard sound reflective surfaces such as glass, concrete and wood cause speech sounds to overlap each other, resulting in muddy, unintelligible sound. 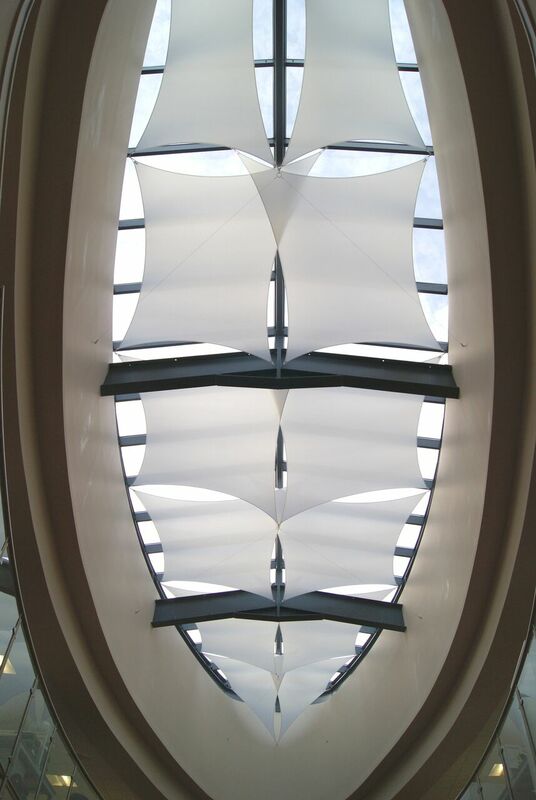 The low tension levels in stretch fabric sails can be used to reduce the sound reflected off the hard hard surfaces, softening the space and preventing echo. 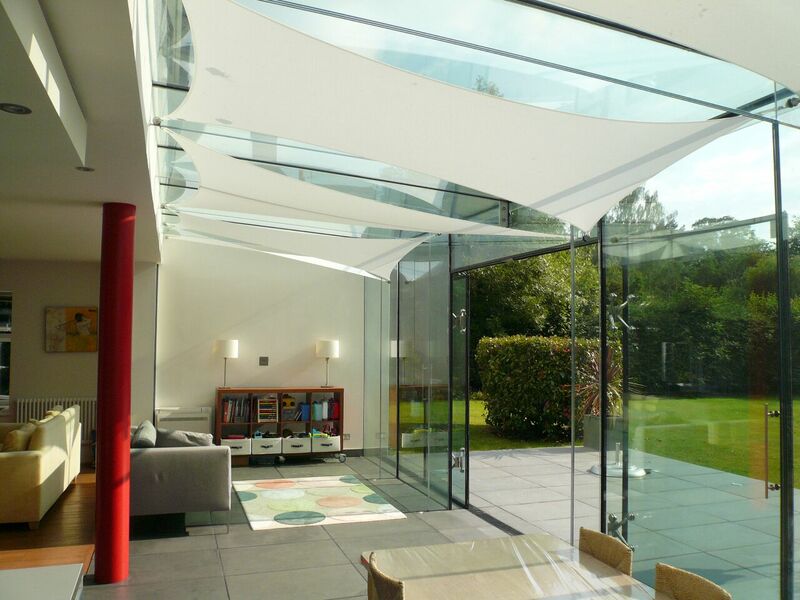 InShade Sails are Fully Bespoke with stunning results. 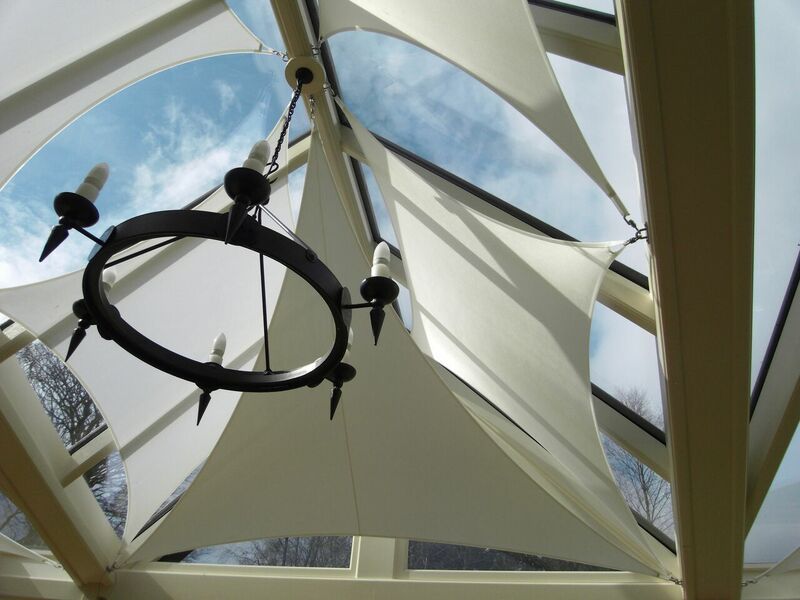 Each InShade conservatory sail and sail blinds solution is tailored, developed and designed to specifically to meet clients requirements. Our passion is to create beautiful solutions , we have experience to tackle challenging problems, and advanced software to create complex forms. “Customers are always amazed by the transformation. 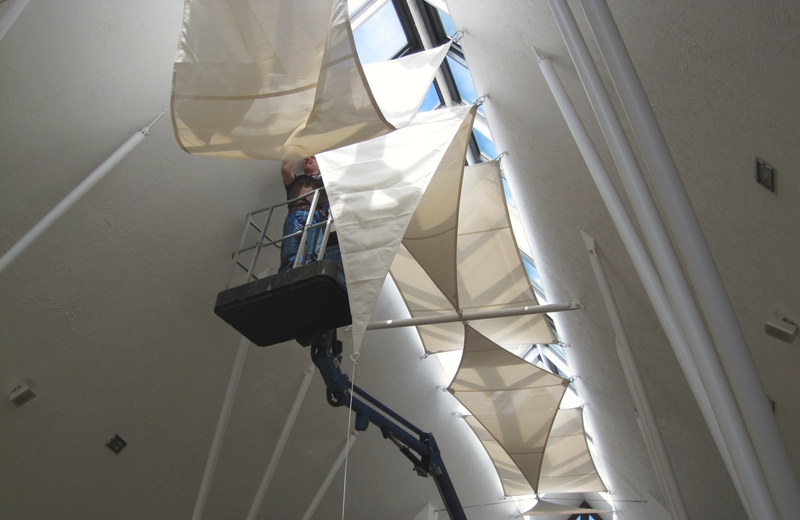 They feel an instant impact on the heat as soon as the sails are installed. 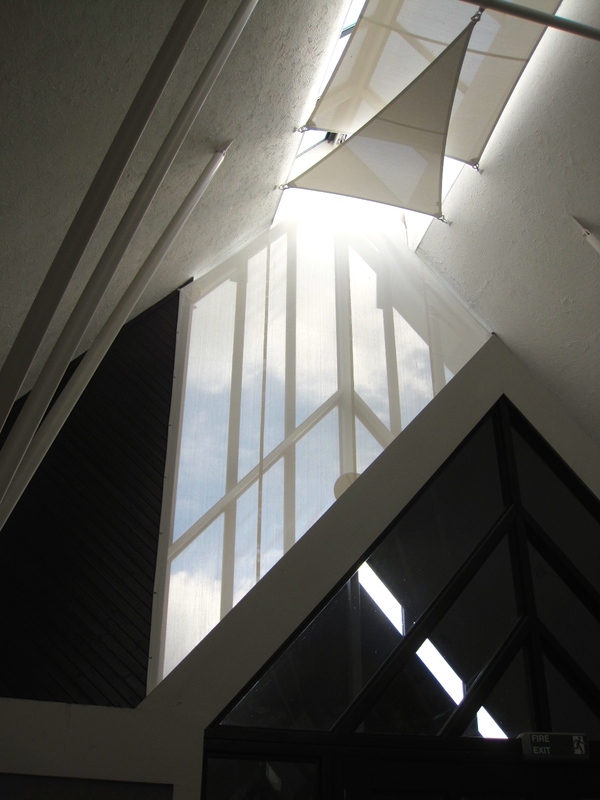 Once they see the sunlight filtering through the sails they are impressed by the transformation of the space. 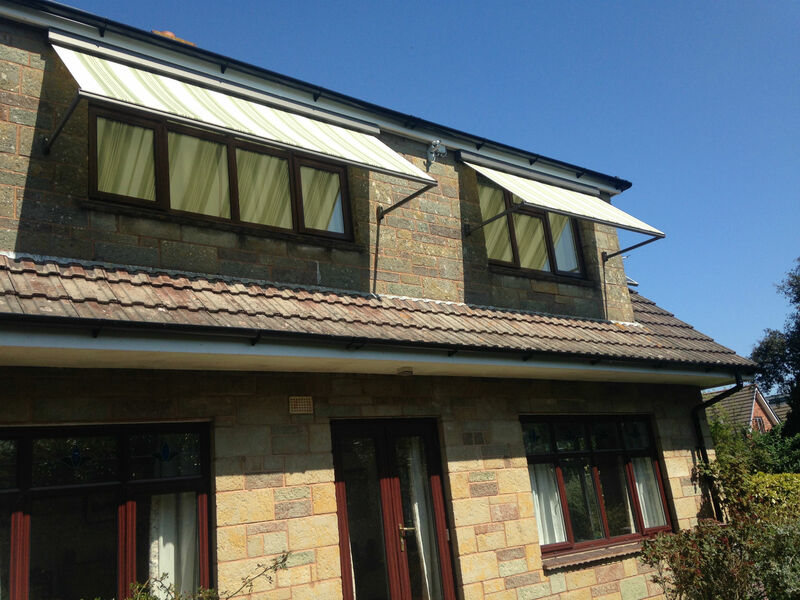 Later, when required, customers really appreciate how easy the sail blinds are to clean”. 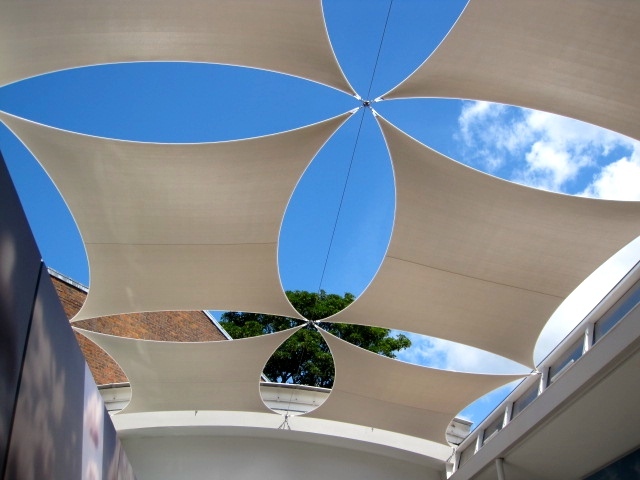 Alfresco365 is a trading name of Sherlock and Watson Ltd, we have designed and installed many shade structures during 10 years of specialising in bespoke canopies. We design & instal quality, made to measure forms for discerning private customers, the hospitality industry, and different commercial entities. We offer a personal independant service. 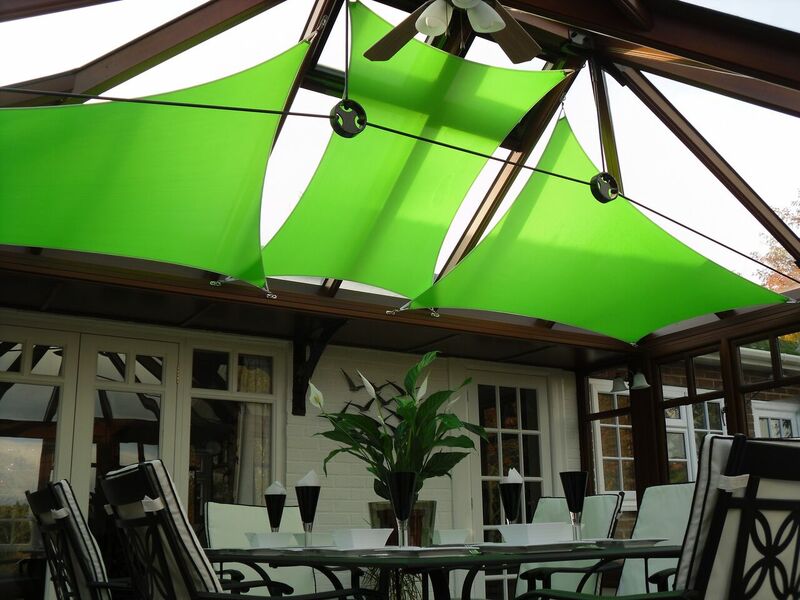 Alfresco365 design and instal Inshade conservatory sails and sail blinds in London, A3 & M3 Corridors, South Central counties, South Coast and Isle of Wight. Inshade Conservatory sails and sail blinds on the Isle of Wight. 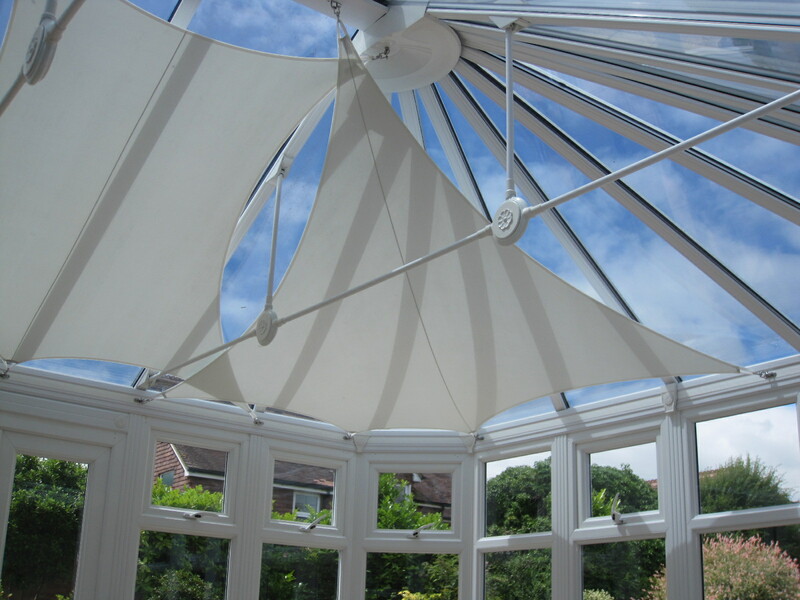 Inshade Conservatory sails in Hampshire. 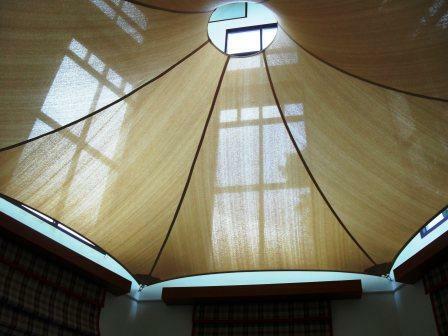 Inshade Conservatory sails in New Forest. 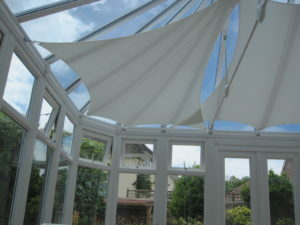 Inshade Conservatory Shade sails in Southampton. 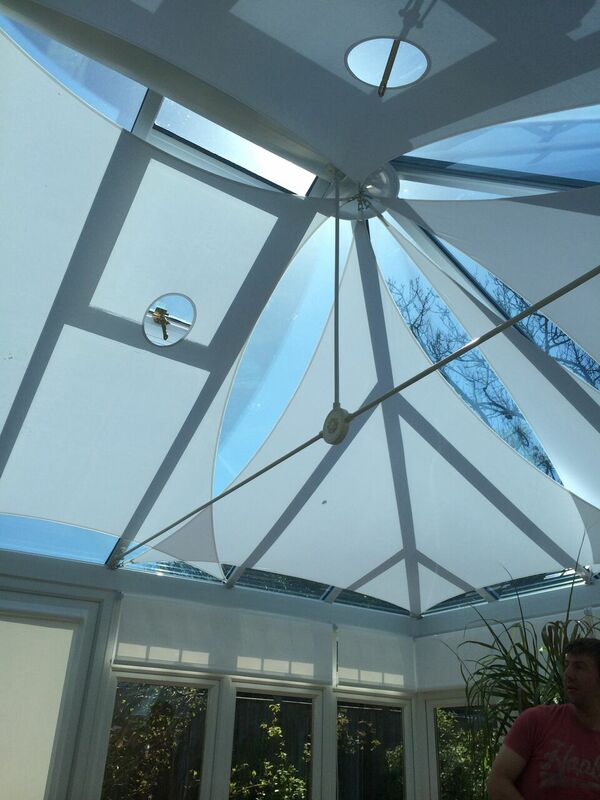 Inshade Conservatory sails in Lymington. 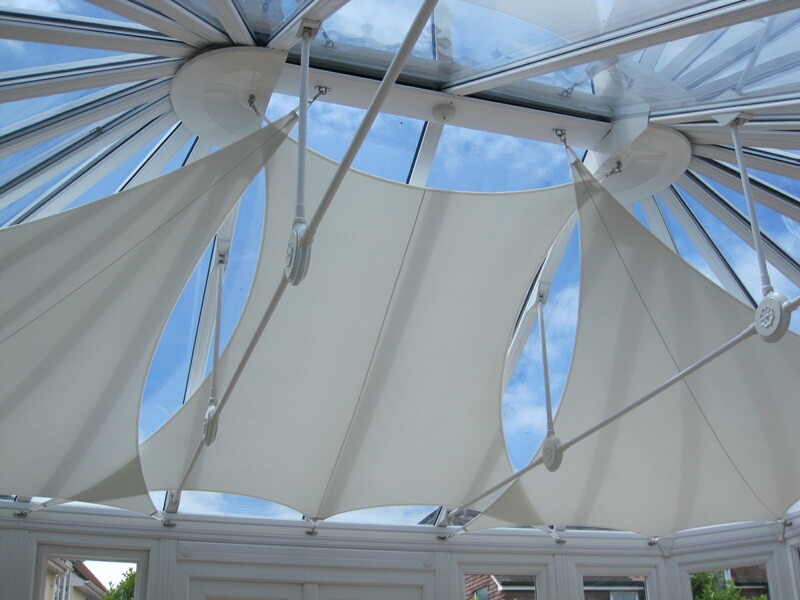 Inshade Conservatory sails in Portsmouth.